There is this small mud hut outside almost every house in Bajura district. Temporarily made, dirty, unmanaged and just big enough to fit one person in, this hut is where women are forced to live every time they menstruate. Chhaupadi Pratha sounds like a horror story for those of us who don’t have to follow the tradition, but it’s a harsh reality for women in western Nepal. Its prevalence has no valid argument or scientific reason but still has been in practice for long enough to have affected countless women physically, sexually, and emotionally. 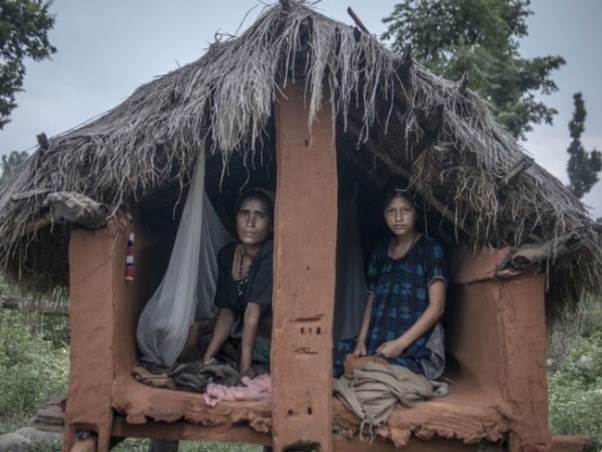 Young girls who menstruate for the first time are instructed to stay away from their family members and live isolated for as long as 22 days. They are not only forbidden to do normal things like living together with a family, but prohibited to even look at male members of their family. And this doesn’t stop at the end of their first period. They are required to abide by the same set of restrictions during each of their monthly period. If a menstruating woman touches anything she isn’t supposed to, a thorough purification ritual is conducted. There are a lot of myths surrounding this custom. In many cases, menstruating females are not allowed to touch bottled pickles as it is believed that their touch will decay it. They are asked to stay away from trees because it is believed that they will stop bearing fruits once touched by an ‘impure’ woman. Furthermore, instead of providing women on their periods with nutritious food, there are restrictions in what they can and cannot eat. For example, in many communities, they have to eat meals devoid of salt. It goes without saying that they aren’t allowed to enter temples, or kitchen. While living in those congested mud huts, issues of hygiene and sanitation are completely neglected. The idea of sanitary napkins is far beyond their accessibility. Lack of nutritious food often weakens them physically. The trauma and stress of being mindful about not ‘polluting’ something by their touch and living isolated often lead to deep emotional scars. 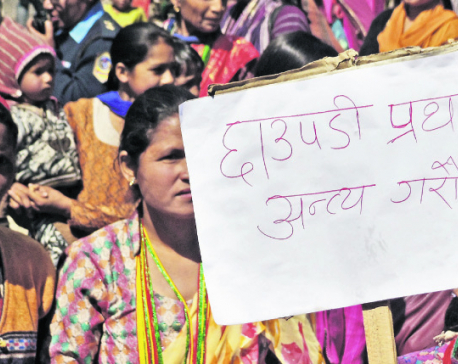 A condition called ‘conversion disorder’ is diagnosed in many females of western Nepal nowadays. They feel sick, weak and suffocated and the cause behind this is related to menstruation. 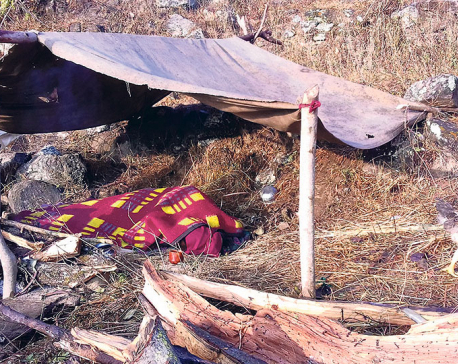 While reports of animal attacks causing injuries to menstruating women living in the secluded sheds are common, cases of rapes and sexual violence are frequently on the news. Why this barbaric practice? Often the answer sums up in two words—culture and tradition. Why is it so easy and convenient to do something as meaningless as this in the name of culture? The acceptance of this custom by people, especially females themselves, is evidence to how deep-rooted this tradition is. The taboos related with menstruation have been practiced for so long that pamphlets or plays cannot do much to alter people’s beliefs. Although the supreme court of Nepal banned this practice back in 2004-2005, it is still highly prevalent. Some families might have started using cow sheds instead of little mud huts, or confined their menstruating female member to a room in their own house, but Chhaupadi is still very much practiced. The practice of confinement during child birth is also another form of Chhaupadi. As soon as a woman is on labor, she is not touched by anyone and has to give birth to the child all by herself (while delivery occurs at home). If that was not enough, she is the one who has to clean herself, her child and the clothes and other stuff within hours of child birth. She is then isolated for up to 11 days until the religious naming ceremony of the child. The new mother isn’t allowed to consume any salt, either. I heard a really sad story from an NGO worker about a woman who lost her child during childbirth. As no one would touch her or the child, she had to bury the child herself. She then visited the grave and dug the earth every day to see her child. This continued for a few days before she finally died of grief. The scenario has changed a bit by virtue of time and efforts. The Chhaupadi sheds are now being removed from many families and communities. Women are raising their voices against the practice. The constant efforts of different organizations working to generate awareness against this practice have compelled people to question the logic behind this practice. Treating women as untouchables during a natural cycle is nothing but ignorance. While we brag about our country being in a new phase, new constitution bringing new dawn, development as our urgent need and so on, a part of our country is still in . With inclusiveness being the talk of the town, it is a must to bring everyone together and move towards a brighter tomorrow together. Hritika is an undergraduate student of Development Studies at National College in Baluwatar, Kathmandu.